Imagine leaving the rush of groundbound traffic behind and commuting to work in the J250. No doubt some pilots will find such uses for their new light-sport aircraft. With a nearly all-glass cockpit, the Jabiru J250 can hold its head high in the company of any modern aircraft. Jabiru Australia manufactures not only this airframe but also its powerplant, the six-cylinder Jabiru 3300, which produces 120 hp. With three wide doors, entering and exiting the aircraft and accessing the large cargo compartment is convenient. Buyers can choose from a variety of interior appointments, including leather seats, if so desired. Pilot and copilot share a center-mounted stick. At 43-inches wide and with an instrument panel shaped to allow more knee room, the J250's cockpit should be comfortable for pilots of most any size. The Jabiru J250 uses the same airframe as the company's four-place aircraft, the J400. However, the LSA version is fitted with only two seats, leaving the back seat open for cargo. Throw your golf clubs or skis in the back, and in a few hours you can be recreating wherever you desire! 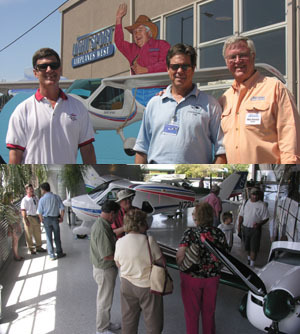 Pete Krotje (shown here) and his son, Ben, are the principals of Jabiru USA, importing both the Jabiru aircraft and engines from Australia. What's that airplane with the funny sounding name? The question arises when pilots, unfamiliar with the new brands introduced by the light-sport aircraft (LSA) category, try to comprehend the name Jabiru. "And this airplane company also makes its own engine?" This second question frequently follows the first. 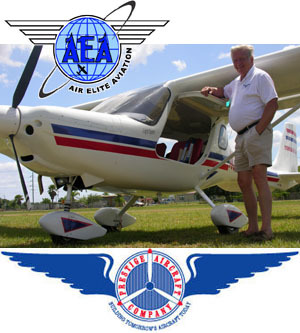 Jabiru USA's Peter "Pete" Krotje and his staff must tire of the explanation. 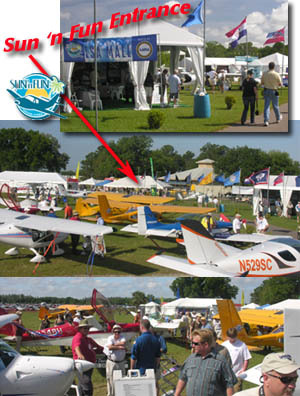 "It's JAB-i-roo," I heard Pete reply patiently one day at EAA AirVenture Oshkosh 2005. "And, yes, the company makes both the airframe and engine." So begins the tale of this new airplane from the country down under famous for kangaroos and cowboys who speak English in a distinctly different way. Designed by Jabiru Australia of Bundaberg West, Australia, the J250 and J170 recently earned special light-sport aircraft (S-LSA) certification, which the Calypso hopes to do soon as well. It's A Little Big Plane As you walk up to the J250, this modern, composite cruiser looks like a small airplane, yet entering the J250 is easy and, once inside, the cockpit is surprisingly roomy, especially given its enormous luggage area. Jabiru uses the same fuselage for its two-place J250 as it does for its fourplace J400, which definitely gives the J250 the largest baggage area of any LSA on the market. "This airplane is designed to exceed the expectations of pilots stepping down from Cessna 172s, Skylanes, or Bonanzas as the most desirable, up-todate personal aircraft," Jabiru's salesmen claim. Once these pilots get past the size of the J250, that statement might be true. This Australian airplane comes to Yankee customers differently than LSA imported from European countries. 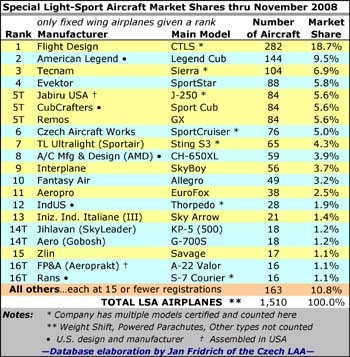 Unlike those aircraft, Jabiru USA is the manufacturer of record. 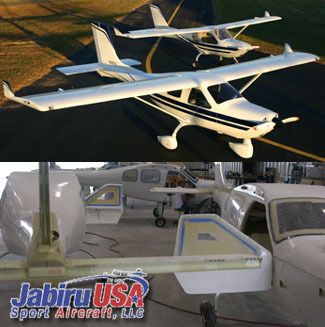 It buys components from Jabiru Australia, assembles them, and does all the fiberglass work and bonding. The parts Jabiru USA receives are ready for an American assembly line. 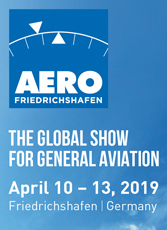 "In Australia, all aircraft components are made the same, no matter whether they're going on a certificated airplane bound for one country or in a kit for another," Pete advised. Effectively, then, this is a U.S.-manufactured aircraft. "But, it's not the same as RANS, which makes most of its own components," Pete explained. Like Boeing or General Motors, which use parts made in other countries, the finished products are considered American manufactured. The phrase coined more than a decade ago, is "domestic content," relating to how much of the final product is created here in the U.S. Jabiru Australia prefers not to fully build aircraft for the U.S. market, as it doesn't believe it can do the continuous safety monitoring specified by the ASTM standards. And, like most non-U.S. producers, they are fearful of America's legendary litigiousness. Besides, shipping fully built airplanes from distant Australia would present other challenges. Jabiru USA, then, must do all the continuous safety monitoring, and it must audit Jabiru Australia as a supplier to its U.S.-based production. They do so by looking at the audit of the down-under business by its Civilian Aviation Safety Authority (CASA), Australia's equivalent to the FAA. The J250 I was privileged to fly was, therefore, a U.S.-built airplane based on an Australian design and airframe components. But many items are supplied from non-Australian sources. Examining N250J The doors open wide on all Jabiru airplanes I've flown, easing the effort to get inside. And because they're all high wings, you don't have to scramble atop the low wing first. Many folks find high wings easier to enter. However, Jabiru's doors are rather difficult to open and close properly. New doors are being developed, and that's something buyers will want to examine in the future. A second door on the pilot's side allows easy access to Jabiru's voluminous baggage area. The space is so large, the main concern will be to not overload it. However, no straps were provided to secure items placed in this area. Upon entering the cockpit I noticed the little big plane was nicely equipped with avionics, with an EFIS system and an electronic engine information monitoring system (EIS). It had an all-glass cockpit with no conventional steam gauges. The bright, color-screened Grand Rapids Technology Horizon I EFIS was fed its GPS information from a Lowrance AirMap 100, though the latter instrument was somewhat awkwardly mounted on the left side of the panel above the left-side throttle. A throttle is available on either outside edge of the cockpit with a single joystick in the middle. Firing up Jabiru engines has always been a simple experience for me. I've flown the engines in several other aircraft makes and models. 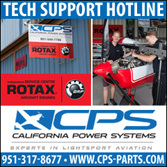 Most general aviation pilots like the engine, as it sounds closer to their experience and because the tachometer readings seem more normal compared to the much higher-revving Rotax 912 series. We taxied out from our Sun 'n Fun parking spot with the usual trip around the airfield to get to the end of the runway. This allowed time to experiment with the ground handling. The rudder steering on the ground is a direct linkage, Nick Otterback, my Jabiru salesman/copilot explained, and that accounted for me having to do all the work. For me, taxiing the J250 was not a comfortable experience. The pedal movements took extra effort, and the control was not particularly responsive. Without directional braking, I felt it might be difficult to make tight turns on airport ramps. Ground steering challenges and illfitting doors notwithstanding, I was anxious to get this plane airborne, and flying the Jabiru J250 turned out to be a pleasant experience. Once we got the wave-off, I fed in power and the big six-cylinder Jabiru 3300 engine pulled us smartly forward. It was the beginning of an interesting and impressive flight behind the big Aussie engine. Rotation came quickly at 40 mph, and we were off. 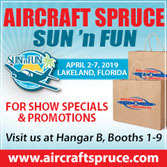 We immediately headed to South Lakeland Airpark, a grass strip conveniently located just three miles from the Sun 'n Fun grounds. Its 4,000-foot runway is a great place to practice takeoffs and landings, especially in airplanes you've never flown previously. If anything, I had a little trouble keeping the J250's speed down sufficiently. On landing approach, the procedures are: add a notch of flaps at 90 mph and drop to 80 mph on base leg; then you can add up to full flaps. Full flaps are needed for landing the J250. It preserves energy quite well, so you can fly your final approach at 70 mph and could slow down to 60 mph or less on short final, at least once you are familiar with the airplane. My problem was that I allowed the speed to creep up, except for my fourth and last landing, which was great. I also felt like I might run out of elevator range as I pulled the stick way aft, though I never did. Short field operations would take some practice. Maintaining the right speeds is essential; if you do so, short field operations are achievable. But as a superb cross-country flyer, J250 can cruise right at the maximum 120-knot LSA limit and is comfortable in that environment. Ease of Handling Describing the J250's ease of handling might best be done by relating a story from a photo shoot with EAA's photo plane; it says volumes about the J250's flight characteristics. When Ben Krotje and Nick were flying the J250, EAA's photographer told them to assume a 30-degree bank and just orbit; the photo plane would fly around them and shoot the desired views. A few minutes into this exercise, the two J250 pilots received another message: "Would you please put your hands on the joystick so it looks like you're actually flying." My own experience performing steep turns in the J250 suggests it will consistently hold bank with almost no input, assuming you first have trimmed it well. It exhibits straightforward handling characteristics, and this evaluation applies at max speeds or in slow flight. My steep turn trials, done at 45 to 50 degrees of bank for 720 degrees of turn, proved the J250 carves beautiful turns. I held altitude precisely with little input needed. I found the rudder would stick a little, requiring modest input to return the pedal to neutral. The J250 in which I flew was the first kit Jabiru USA assembled as an LSA and had not earned SLSA certification at the time I evaluated it. In approved S-LSA, the controls will have return springs to help re-center these controls. Next I wanted to check how well the Australian-designed engine and airplane would perform together. 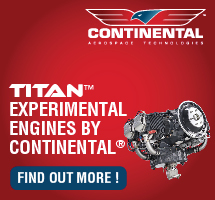 I felt it would be interesting to see how an integrated engine/aircraft would perform. I wasn't disappointed. This is one of the fastest LSA in the group. It will easily reach the maximum allowed (120 knots/138 mph) under the new regulations. The J250's best climb rate is 90 mph, which produces an indicated 1,200 fpm. This was measured at lower altitudes on a hot, humid day in central Florida. Slow flight was comfortable at 53-54 mph showing on the EFIS system, and maximum speeds ran well past the 120-knot/138-mph limit for LSA when the big Jabiru was left at 3150 rpm for a brief full-power evaluation. 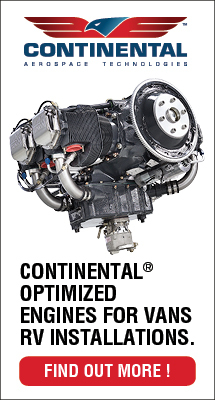 At maximum continuous power, the LSA criterion for speed, with power set at 2750 rpm, the J250 ran right at the maximum cruise of 120 knots. The Grand Rapids Technology Horizon I EFIS has a true airspeed box that we used for this determination. In the J250's newly revised Operations Manual, maximum continuous power (Vh) is capped at 2850 rpm, Pete said. 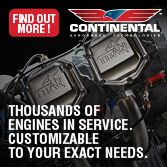 (Vh is the engine manufacturer's official statement of maximum continuous power.) He reports that this power setting produces 120 knots of cruise if you are lightly loaded or 118 knots at full gross. Originally, the Vh power setting was 2750 rpm, but Jabiru Australia recently raised this figure to 2850. With the additional 100 rpm, Jabiru USA had to clip two inches off the prop, switching to a 49-inch from a 51-inch diameter. Yet thanks to improved carburetion, Pete said the Jabiru engines are flying at the higher power setting and using the same or less fuel. He said the 100-rpm bump raised the J250's climb rate while still keeping the speedy model within the LSA definition. And, yes, you can run the engine at the higher rpm for extended periods of time, Pete added, but above 2850 the engine starts to use more fuel, plus you are exceeding the manufacturer's recommendation. The economic controls are effective. Even 50 rpm more will burn as much as a gallon an hour more, and most pilots won't want to both bust the manufacturer's suggestion and pay that much more in fuel cost. However, if you do choose to pour fuel down the drain (and fly as a recreational pilot or higher), the Jabiru can run close to its Vne of 138 knots (159 mph). At its top speed, I found the J250 to be smooth and controllable. It was an experience that suggests cross-country flying in the J250 should be enjoyable and speedy|and also relatively free of surprises. All of Jabiru's aircraft have successfully completed the FAA's FAR Part 23 testing requirements, including a full spin matrix, complete static, dynamic, asymmetrical loadings, and load drop testing, Jabiru USA advertises. Another reliable indicator of a design is time in the field, and Jabiru claims 300 J250s are flying around the world. A Jabiru for You? The J250 blazes the LSA trail for Jabiru USA. It's also the price leader at $87,900. If you want the vacuum panel upgrade to the standard panel, add $4,600 for artificial horizon and directional gyro plus a transponder. 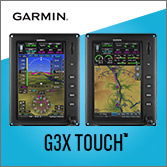 An EFIS option in the form of the Grand Rapids Technology Horizon I plus GPS and transponder will run $8,600. A cloth interior with leather seats adds $650 or a more deluxe leather interior with leather seats adds $2,000. Go the deluxe route on everything, and you can hike your tab to almost $100,000. 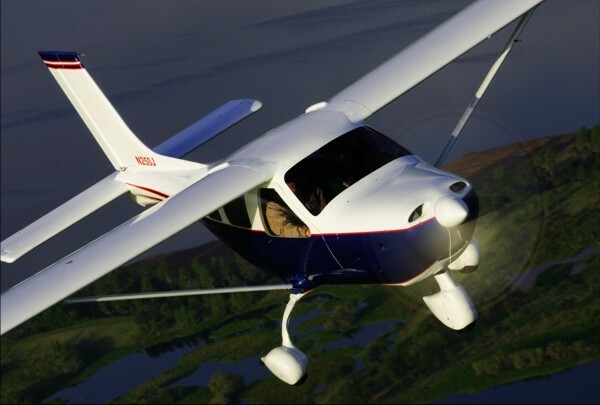 But for all its attributes, J250 is only one of three LSA choices Jabiru USA offers buyers. You can also choose from the new J170 or the proven Calypso. All will meet the definitions of the LSA regulation. The J170, expected on the market shortly after you read this, will use the Jabiru 2200 engine and be configured as a trainer. It sells for $74,900, a whopping $13,000 savings over the J250. Though, of course, the J250 uses the 3300 engine with the larger four-seater fuselage while the J170 uses the twoseat fuselage. The roomy and powerful J250 may not be your pick or fit in your budget. If you don't need the model's huge interior volume or the six-cylinder 3300 engine, the company has still another choice that will also save you cash. 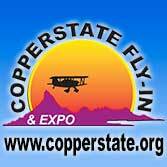 Jabiru USA plans to sell its popular kitbuilt Calypso as a ready-to-fly S-LSA for only $58,000. At that price with the 2200 engine and visual flight rules (VFR) instruments, Calypso represents quite a bargain for an all-composite airplane. 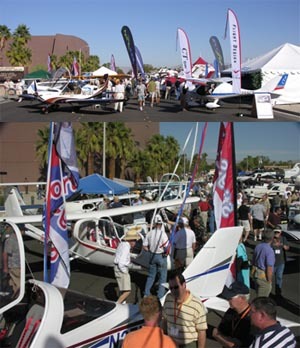 So with the top-of-the-line J250 for $88,000, the J170 that may be useful for schools seeking a durable trainer for $75,000, or the Calypso for $58,000, Jabiru USA has a wide range of aircraft to offer. And all are essentially made in the USA. All three models are also available as kits in the experimental amateur-built category, offering another lower-cost option. 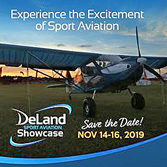 Check out these aircraft on a Sport Pilot Tour or fly-in near you, and see what this interesting trio of aircraft has to offer. Notes: 1 The J250 is based on the four-seat Jabiru J400 fuselage with no rear seats installed. Notes: 1 Solo performance attributes are 1,200 fpm climb and a 325-foot takeoff roll. What’s that airplane with the funny sounding name? The question arises when pilots, unfamiliar with the new brands introduced by the light-sport aircraft (LSA) category, try to comprehend the name Jabiru. 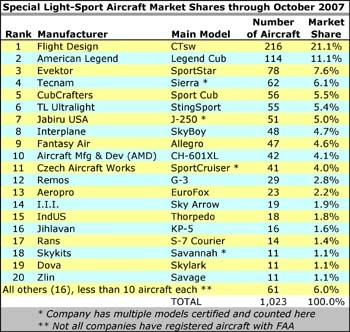 “And this airplane company also makes its own engine?” This second question frequently follows the first. Jabiru USA’s Peter “Pete” Krotje and his staff must tire of the explanation. 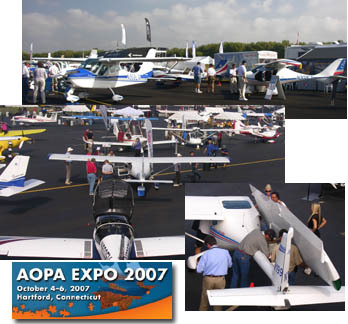 “It’s JAB-i-roo,” I heard Pete reply patiently one day at EAA AirVenture Oshkosh 2005. “And, yes, the company makes both the airframe and engine.” So begins the tale of this new airplane from the country down under famous for kangaroos and cowboys who speak English in a distinctly different way. Designed by Jabiru Australia of Bundaberg West, Australia, the J250 and J170 recently earned special light-sport aircraft (S-LSA) certification, which the Calypso hopes to do soon as well. It’s A Little Big Plane As you walk up to the J250, this modern, composite cruiser looks like a small airplane, yet entering the J250 is easy and, once inside, the cockpit is surprisingly roomy, especially given its enormous luggage area. And then we had 20...SLSA approvals, that is. Jabiru's Pete Krotje announced his company had received not one but two FAA airworthiness certificates for J250 and the new J170. 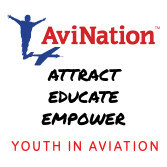 The latter is aimed at the flight training market. Smaller than the J250 which has an enormous baggage area -- being based on the the four-seat J400 -- the J170 is based on the proven two-seat Jabiru, the Calypso. It will be powered with the company's four cylinder, 80-hp 2200 engine. Smaller, yes, but J170 still has a broad 45-inch cabin with plenty of headroom. The J170 is big in other ways, too, with a 562 pound useful load and a whopping 35 gallons of fuel (which may not all be used in training applications). Meanwhile J250 is your cross country cruiser with room for all your gear and able to cruise easily at SP/LSA's 120-knot speed limit.